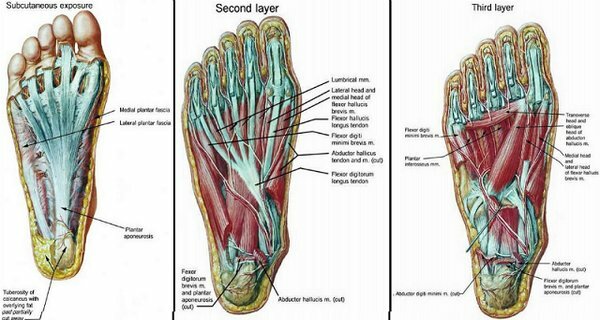 You don't have to be a ballerina for this foot exercise. Toe walking will help strengthen the muscles in your toes, as well as the ligaments and muscles surrounding the balls of your feet. To perform the toe walking exercise all you must do is stand on your tiptoes and walk forward for 20 seconds. Once you have completed this walk, rest for 10-15 seconds. Repeat this exercise 5 more times. Ankle mobility and flexibility are extremely important. Ankle's that are tight and restricted often causes the rest of the body to compensate for their flaws, which results in muscle and joint pain throughout the body. If your ankles are tight you might experience hip, back or knee pain. To perform ankle circles, put your back to the floor and extend one leg over your head. Rotate the extended leg's ankle clockwise for 10 counts. Then, rotate the extended leg's ankle counterclockwise for 10 counts. Switch legs and repeat.